So you are in town for a day only on a cruise ship, or perhaps staying at a hotel in town without a car, and you want to get a bit off the beaten path for the day? No problem, hire a local driver and let them chauffeur you around the area’s beautiful remote beaches, stopping to see wildlife, small beach bars, hangouts and even restaurants for lunch. Oh and if you see a beach that you want to play on all by yourselves, just say pull over and away you go. Let your concierge arrange a trusted driver to show you some of the spots for a half day or full day trip into the Costa Maya’s beautiful remote beaches and jungles. Your concierge, Sandals and Skis, works only with the area’s best and the same goes for their preferred drivers. They can arrange small Taxi Tour sedans for groups of 4 or less and a larger van for groups of 5-10. Local union rules require they pick you up in town at a specific location and most meet at the Tropicante restaurant and leave from there. Box lunches can be purchased there and an entire picnic lunch can be ready to go if you want to make a day of the trip. A small sedan costs $30 US per hour and the larger vans are $50. Most give full day rates at a lower price per hour. Drivers will stop and start, as well as wait, at any location guests want to stop and enjoy. If you see a lonely strand of beach, and you will see many, and want to swim or do some beach combing, just tell the driver to pull over and he will wait while you play as long as you please. 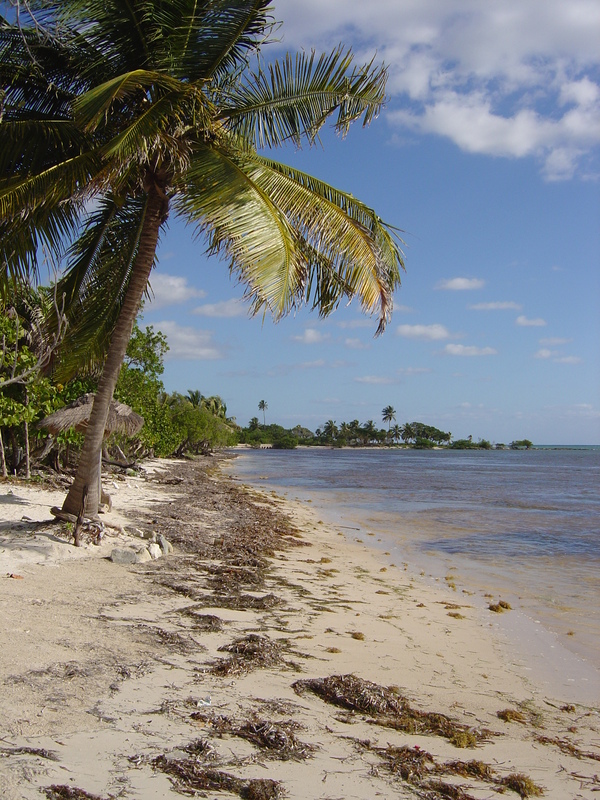 Most prefer the beach road that leaves Mahahual to the south. The north road takes a bit more time to get to and there are very few places to stop for drinks or lunch. Mostly private homes and remote beaches. The south road on the other hand has a few boutique hotels with great beaches, as well as small restaurants and bars you can stop in and enjoy a cold drink in along your journey. This road travels about 35 kilometers to the south before ending at a burned out bridge, about another 20 kilomters from the border waters of Belize. To drive to this point takes about an hour, depending on the condition of the sand road. Don’t forget to add the same hour to get back. 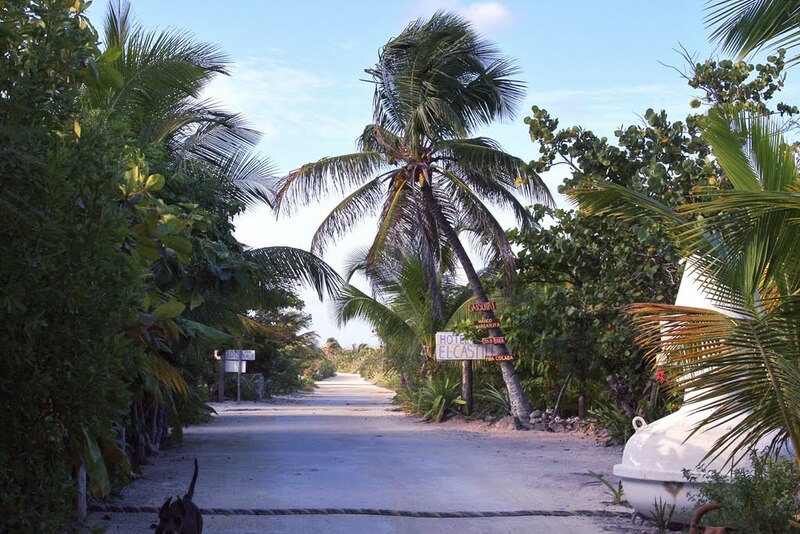 In late February, the road was re-graded south out of Mahahual and was very smooth, at least by local standards, for southbound travel at about 35-45 kph. So what will you see on the south road? Mostly long stretches of uninhabited beaches with an occasional beach house, boutique hotel or remote beach break club. The beaches in Mexico are owned by the government and access is for all, so you can go on any beach and walk an area that is 20 meters from the high tide level. Access to that area though is often through private property but seldom is it fenced so most just cut through any uninhabited areas to the beach and it is not a problem. If it is fenced, it is best to find another area to use as your access. Probably over 75% of the remote beach area is not fenced and accessible. Along the way, you will see many “camp” areas where locals like us have cleared spots under beach trees for shade and use the area for our own day camps. Take your pick and enjoy! 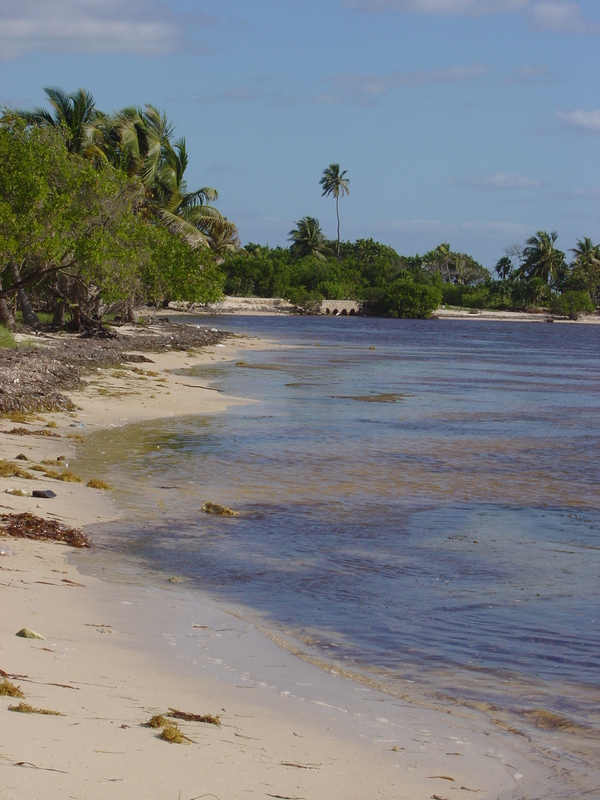 There are a few small watering holes along the way and most have very nice beaches to swim and snorkel at if you want to hang out for a while. Hotel Castillo is a great place to stop and do that. It is located about 12 kilometers south of town and by the time you reach there, you are ready to get out and enjoy some beach and a cold beverage. They are a small hotel with a huge beach and along one of the most beautiful stretches of jungle in the area. They have more beach than they have rooms, so cruisers are welcome to drop in. 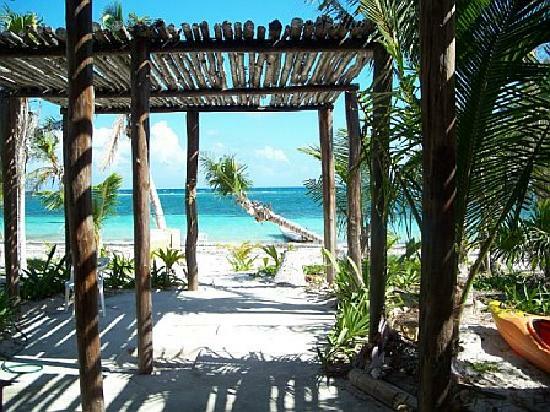 The restaurant bar is a palapa structure worth stopping to see by itself. Awesome! The Fuson Bar at Cabanas Kabah-Na has cold drinks and hammocks everywhere and the snorkeling is great. You might even find a snorkel excursion boat from your own ship there enjoying the same beach. Continue another 10k south and you can stop in at Almaplena. Another small boutique hotel that welcomes cruisers and a great place to enjoy a more upscale lunch if your prefer that. They even have great beach massage if any want to hang out there and enjoy while the others take the last leg of the journey that takes them to the end of the road. This last stretch is very remote with just a few small beach homes and local fishermen’s huts the rest of the way. If you see a nice stretch of water, calm and reef protected, have the driver stop and go for a snorkel in this area. The marine life is as good as you will see anywhere! The area just to the south is part of a marine preserve area and the town of Xcalak. You can’t access Xcalak from the beach road because of the destroyed bridge but the area’s location, isolated and adjacent to the preserve, makes this water equally pristine. The beaches are beautiful but also full of trash and sea grass, as nobody lives in the area and nothing gets picked up. Same for the treasures that wash up on the beach and this area has the best beach combing for shells, corals, driftwood, sea beans and old flip flops galore. 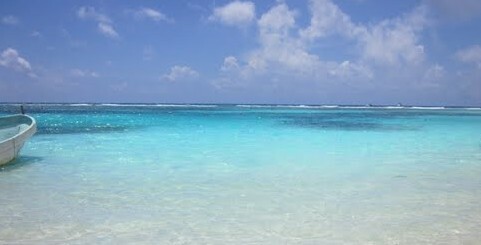 The water is spectacular, so you must snorkel it if you venture this far south. If you know the area, and your concierge knows it well, you know places like Jungle Suzy’s, a great place to take a picnic and spend an hour or two in the hammock or snorkeling her reef. Suzy has lived in the area many years after moving here from the US. She owns a beautiful stretch of beach and loves to entertain and make margaritas. She doesn’t serve food, take the picnic lunch, and can’t sell the ice cold beers and margaritas she serves, so you just pay her “something” for allowing you to enjoy her beach, her restroom and hospitality. “Something” is about as much as the beers and margaritas are worth, plus tip! Be sure to check out her hand made Jungle Suzy beach attire too. No worry, your concierge will call ahead and make sure she knows your coming and is ready with limes and ice. She is a hoot and her place is like having your own private paradise! 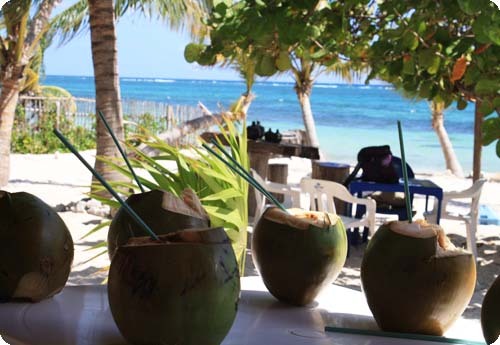 A remote beach trip can be anything from a quiet remote beach, to a beach bar hop that hits a half dozen spots for a new beach and a cold drink at each. Or anything in between! 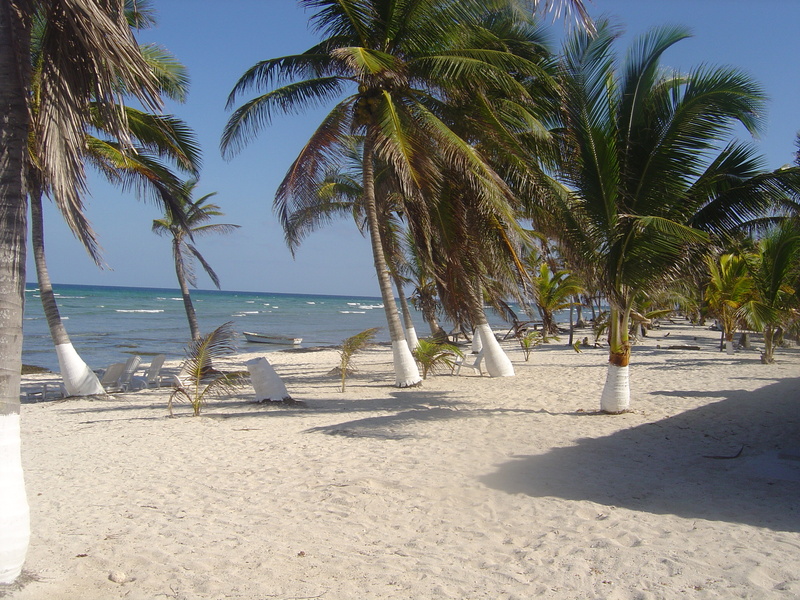 If you are coming to Costa Maya and want to get a bit off the beaten track for the day, have your concierge arrange a remote beach driver. The area is safe and the drivers always know how to make sure you have a good time and get you back in plenty of time if you need to catch a ship out. Costa Maya is off the beaten track, but getting even further off that same path with your own private driver for a few hours allows you to see a side of the area few will ever be fortunate enough to experience. Come, and enjoy our entire paradise! Well written my friend! Makes me want to jump in the car and head south!